TO DETERMINE THE ASSOCIATION OF DIFFERENT PSYCHOSOCIAL RISK FACTORS FOR RELAPSE IN PATIENTS WITH BIPOLAR AFFECTIVE DISORDER. Muhammad Ilyas Jat Isra University Karachi Campus. (Al-Tibry Medical College and Hospital, Karachi, Pakistan. Anoop Kumar JPMC (Jinnah Postgraduate Medical Centre) Karachi, Pakistan. Ghulam Rasool JPMC (Jinnah Postgraduate Medical Centre) Karachi, Pakistan. 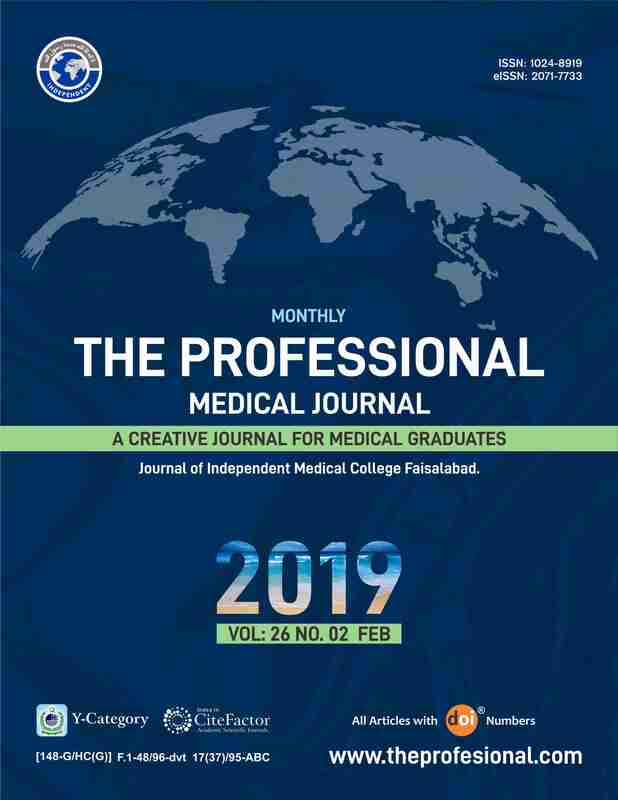 Ajay Kumar JPMC (Jinnah Postgraduate Medical Centre) Karachi, Pakistan. Introduction: Bipolar Affective Disorder is a chronic, recurring illness. There is evidenced relationship between life events (particularly adverse interpersonal events) and the onset of bipolar episodes. Objective: To determine the association of different Psychosocial risk factors for relapse in patients with Bipolar Affective Disorder. Study Design: Descriptive cross-sectional study. Setting: Psychiatry Outpatient Department (OPD) of Jinnah Post Graduate Medical Centre (JPMC), Karachi. Period: January 2016 to July 2016). Subjects and Method: Total 146 patients of both genders aged between 18 to 60 years were enrolled in study. Diagnosis of Bipolar Affective Disorder was based on diagnostic criteria of International Classification of Diseases 10th version [ICD-10]. For the identification of psychosocial factors Holmes and Rahe stress scale was used. Results: A total of 146 patients of both genders with average age of 31.44 ± 10.40 years. Among 146 cases, 97 (66.40%) were males and 49(33.60%) were females. Out of 146, 79(54.10%) were married, 61(41.80) were single. Among 146 patients the psychosocial factors were identified individually. The death of spouse, recent marriage, marital separation and death of close family member or friend, pregnancy were the psychosocial factors associated with relapse with p-value of less than 0.05. Conclusion: The psychosocial factors or adverse life events do trigger the course of Bipolar Affective Disorder. The major negative life events such as death of spouse or close family member or friend, the marital issues are predominant. Muhammad Ilyas Jat, Isra University Karachi Campus. (Al-Tibry Medical College and Hospital, Karachi, Pakistan. Anoop Kumar, JPMC (Jinnah Postgraduate Medical Centre) Karachi, Pakistan. Ghulam Rasool, JPMC (Jinnah Postgraduate Medical Centre) Karachi, Pakistan. Ajay Kumar, JPMC (Jinnah Postgraduate Medical Centre) Karachi, Pakistan.